Change Management at Toyota North America: A conversation to share how Toyota managed the change of moving its headquarters to North Texas. Participants will tour the new campus! 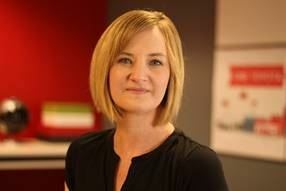 Krista Allen serves as Instructional Designer and Project Manager for Toyota Motor North America. In her role, Krista provides strategic direction through leadership and drives change management initiatives. To mitigate crowd control, we are going to have concurrent breakout sessions, so all four will take place in 20-minute increments.